If you heading to Lake Whitney and would like to enjoy the lake for fishing, swimming, skiing, or just cruising around, here is a list of boat rentals for Lake Whitney. 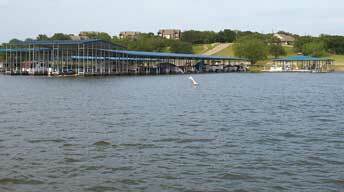 These Lake Whitney boat rental companies rent everything from ski boats to pontoon boats to waverunners. The Marina rents 2 Sweetwater pontoon boats. One is a 19' 75 HP with a capacity of 8 people and a larger 21' with a 90 HP which holds 10 people. The Marina Market is stocked with everything you need for a full day of fishing, skiing, sailing or boating. 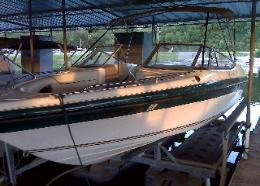 19' & 21' pontoon boats, 24' Deck Boat, and a ski boat are available for rent. You can also rent tubes, skis, and wakeboards.